Rollover to see states data, or click on states to see county-level data. The RURAL DATA PORTAL is a simple, easy to use, on-line resource that provides essential information on the social, economic, and housing characteristics of communities in the United States. The RURAL DATA PORTAL is targeted toward rural communities, but a wide range of information is presented for the nation, states, and counties for rural, suburban and urban areas. 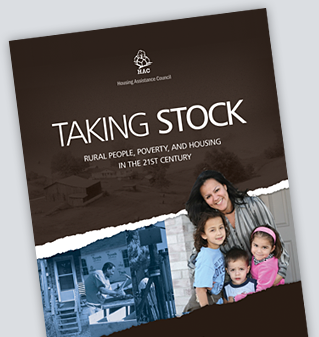 Most of the information provided in the RURAL DATA PORTAL come from Housing Assistance Council (HAC) tabulations of various public use data sets such as the 2010 Census of Population and Housing, the American Community Survey (ACS) and Home Mortgage Disclosure Act Data. The Housing Assistance Housing (HAC) is a national nonprofit organization that supports affordable housing efforts in rural areas of the United States. The Housing Assistance Council (HAC) is a national nonprofit organization that supports affordable housing efforts in rural areas of the United States.